Hornet Titanium Spork with Bottle Opener | BUDK.com - Knives & Swords At The Lowest Prices! The Hornet spork is crafted of titanium, one of the toughest alloys on the planet. 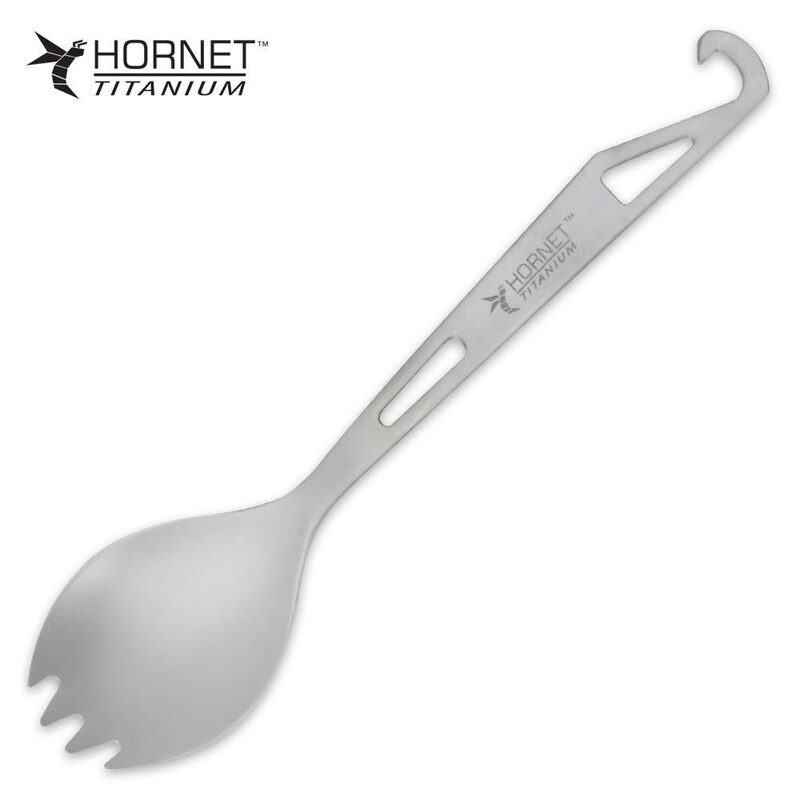 Titanium is widely used in aircraft construction because of its light weight and extreme strength, which also makes it ideal for our Hornet Spork. It's non-toxic and hypoallergenic, non-corrosive, and non-magnetic, which means it's great for your next outing, no matter where it is. For added convenience, it includes a bottle opener hook on the handle! Sturdy and lightweight. The spork works just fine. My only gripe or suggestion would be to have the end equipped with a can opener instead of a bottle opener. It would be more functional and it still can be used to open bottles if you know how. This spork is the only utensil I need for my bachelor home cooking truthfully. 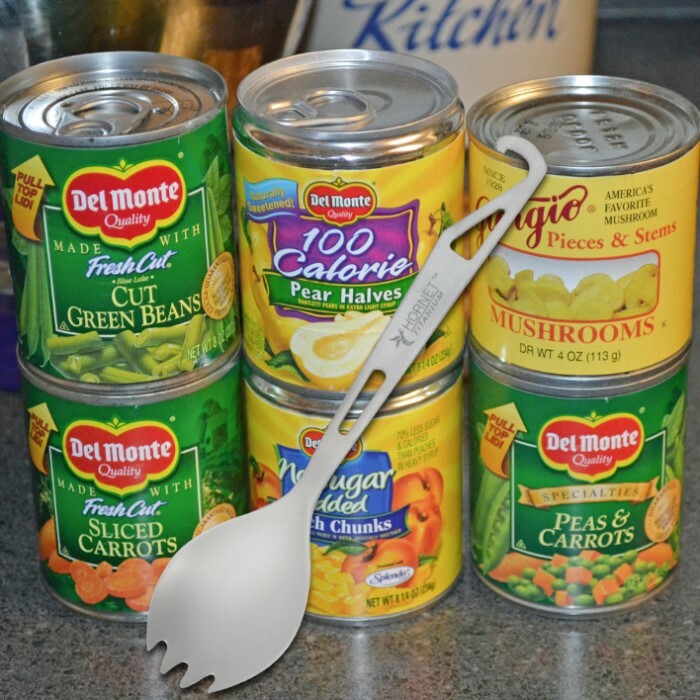 Its strong and new and a change of pace,the smart part is it's forklike capability. easy to use too.